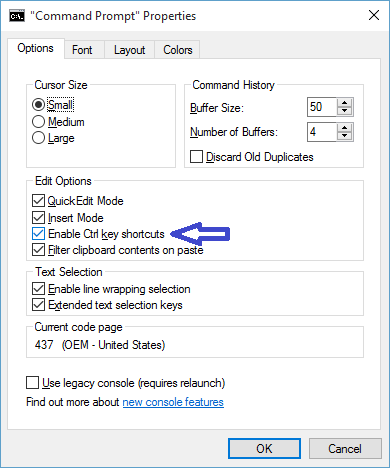 Windows 10 command prompt provides various improvements over command prompt in previous Windows versions. You can change command prompt screen background color, change font style and color, and enable Ctrl keyboard shortcuts. You can also make command prompt window transparent. Right click Windows Start button and select "Command Prompt" to open command prompt. 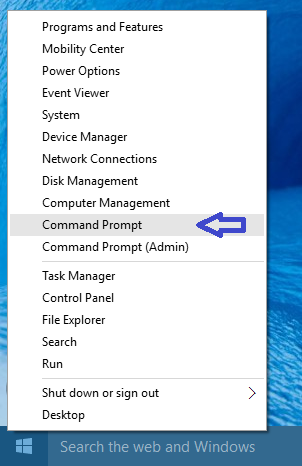 Select "Command Prompt (Admin)" to open command prompt in Administrator mode. In "Command Prompt Properties" window, go to "Edit Options" section and check the checkbox in front of "Enable Ctrl key shortcuts". Click OK to save the change. 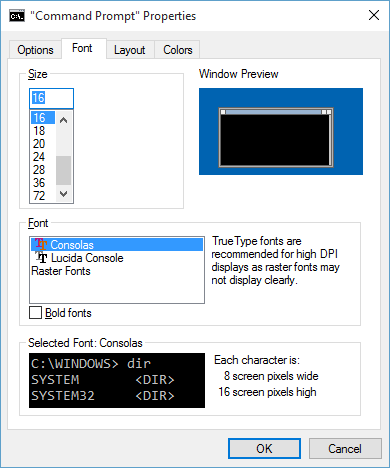 In "Command Prompt Properties" window, open "Font" tab and select new font and font size that you want. Click OK to save the change. In "Command Prompt Properties" window, open "Colors" tab. 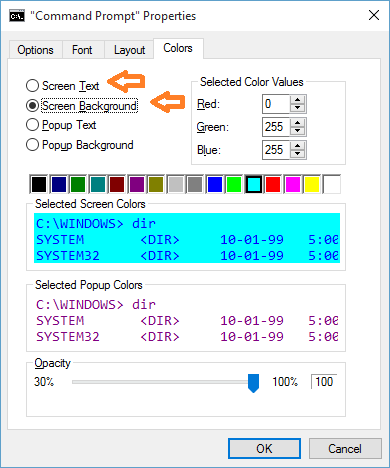 Change Screen Background Color: Select radio button in front of "Screen Background" and choose your new screen background color. click OK to save the change. Change Text Color: Select radio button in front of "Screen Text" and choose your new text color. click OK to save the change. In "Command Prompt Properties" window, open "Colors" tab. Change the Slider under "Opacity" to set command prompt transparency as per your preferences.